Send Womens Day flowers, giving a tribute to strong perseverance, sincerity and hard work, celebrate the success and achievements of women across the globe this International Women's Day with fresh and fragrant blooms. Let your female counterparts know that you care and are happy to have you in their life. “After Women, Flowers Are The Most Divine Creations.”-Christian Dior. We, at MyFlowerTree, stand by this beautiful quote by Christian Dior. Therefore, we have stocked up with a wide variety of gorgeous flowers for Women’s Day. We truly believe that there is no better gift than flowers to appreciate a woman for her beauty or to honour her for her achievements. So, peep into our beautiful collection of Womens Day Flowers and say Kudos to the important women in your life who have always fought for their rights and went ahead to achieve great things in their lives. Whether she is your mom or sister or wife or girlfriend or just any other woman who inspires you every day, make them all feel special by gifting them a beautiful bunch of flowers from MyFlowerTree. You can now order Women’s Day Flowers Online in a few clicks from our online flowers shop even without stepping outside your home. There is hardly any woman in this world who doesn’t love flowers. A bunch of bright and beautiful flowers always make them happy. 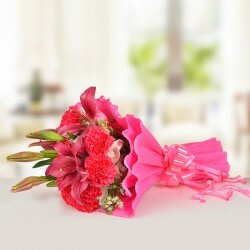 MyFlowerTree presents you a wide variety of beautiful flowers for Women’s Day. You can order Womens Day flowers for wife or girlfriend or friend from us. We have aesthetic lilies, lovely roses, exotic orchids, colorful daisies, charismatic carnations, and so on. We always deliver fresh flowers to our customers. So, since Women’s Day gives you all an opportunity to honour women who has made this society a better place to live in, we are sure you won’t leave this chance to pay a tribute to your mom or wife or girlfriend or your friend. All you need to do is to order a bouquet of beautiful flowers from us online and opt for our Womens Day flowers online delivery. International Women’s Day reflects the struggles of women for empowerment and equality in society. Hence, Women’s Day is all about honouring the important women in your life by gifting something that portrays womanhood; it’s strength and beauty. We, at MyFlowerTree, have come up with a gorgeous range of Women’s Day flowers that you can now send online for your mom or wife or sister or friend with the aid of our online flower delivery in India and 20 other major countries. So, if you are looking for a beautiful way to surprise your favorite ladies on Women’s Day then, do not think further, just send them a bunch of beautiful flowers. 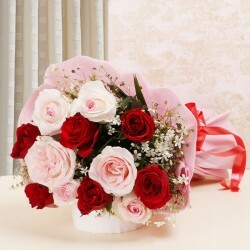 You can send Womens Day flowers for mom and pay your tribute to her in a beautiful way. 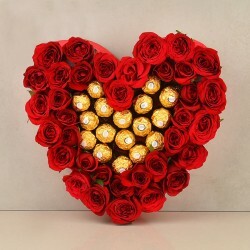 Along with flowers, you can also send other gifts for her like a delicious sugar-free cake or a greeting card etc. 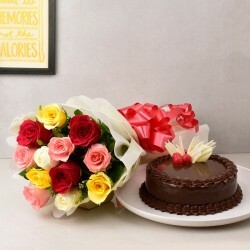 Why Should You Order Women’s Day Flowers From MyFlowerTree? 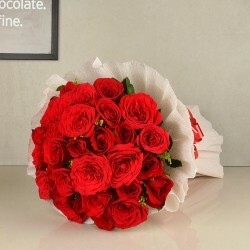 - We are one of the best florists in India that provides you with a variety of beautiful flowers. - We always deliver fresh flowers to our customers which are nicely wrapped and arranged by our in-house florists. 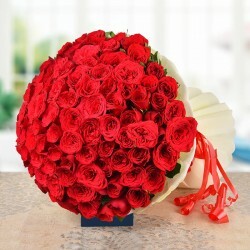 - We provide you all hassle-free online flower delivery. We provide same day and midnight flower delivery to make occasions even more special for our customers. 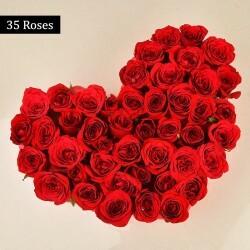 - Apart from providing our express flower delivery in 350+ cities of India, we also deliver flowers internationally in countries like US, UAE, South Africa, Canada, Australia, and so on.